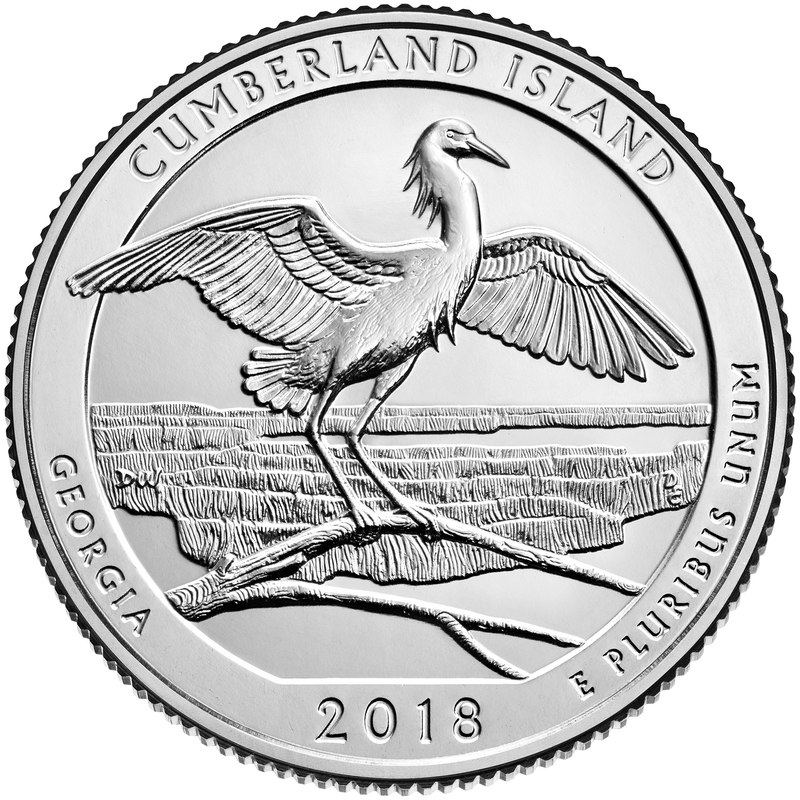 WASHINGTON – The United States Mint (Mint) will open sales for the 2018 America the Beautiful Quarters Three-Coin Set™– Cumberland Island National Seashore (product code 18AG) on September 13 at noon Eastern Time (ET). A durable plastic card holds the three coins and displays an image of Cumberland Island National Seashore and the Certificate of Authenticity. Note: To ensure that all members of the public have fair and equal access to United States Mint products, the United States Mint will not accept and will not honor orders placed prior to the official on-sale date of Sept. 13, 2018, at noon ET.